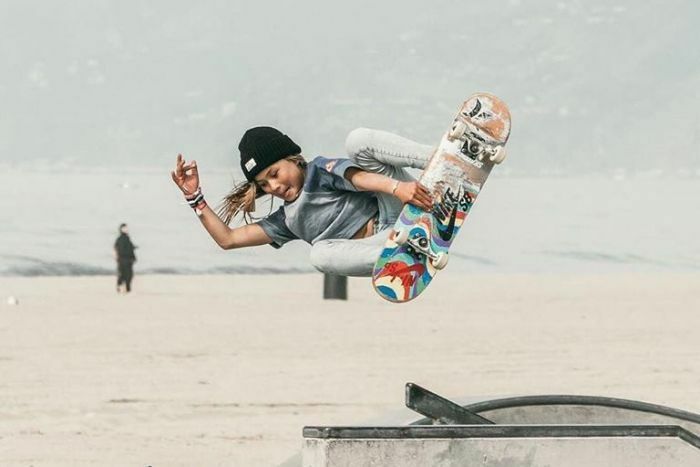 She may be only 10 years old, but as far as the skateboarding scene is concerned, age is but a number. Skating prodigy Sky Brown is on track to become Britain’s youngest summer Olympian after taking out the women’s gold at the United Kingdom Skateboard Championships. The event, which features more than 140 of the UK’s top skateboarders, is the grommet’s first Olympic qualifier on the road towards next year’s Tokyo Games, which will feature the sport for the first time. “I feel like it doesn’t matter how old you are … you can do anything, no matter what age you are,” said Brown, who finished with a 33-point lead over second place. “Sometimes I just want to beat myself and I want to do what boys do. 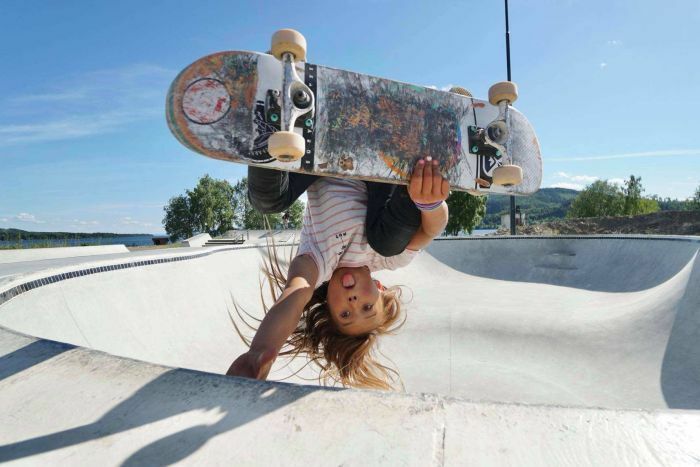 She is one of just five skateboarders to benefit from UK Sport’s Aspiration Fund, aimed at helping athletes attend qualifying events in the lead up to the Games. If she qualifies, Brown, who was born in Japan, will be 12 years and 12 days old when the Games begin in July 2020 — eclipsing the record set by swimmer Margery Hinton who was 13 years and 43 days old when she competed at the 1928 Olympics in Amsterdam. To be eligible to participate in Tokyo 2020, a skateboarder must be ranked in the top 20 in the world in their discipline based on points scored in qualification tournaments. The qualification period has been divided into two seasons which will end on May 31, 2020. Qualifying events include world championships, tour events, five-star events, continental championships and national championships. Five sports, including baseball, skateboarding and surfing, will feature in Tokyo as part of the International Olympic Committee’s revamp of the Games program to attract younger audiences. “I am going to try and do surfing for the Olympics as well because I just love them both so much,” Brown, who will also compete in the National Surfing Championships in Cornwall in May, told the BBC.